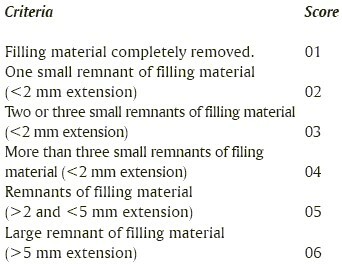 Aim and Objectives: This in vitro study was designed to comparatively evaluate the effect of five commercial mouth rinses on the micro hardness of a nanofilled resin based restorative material. Materials and Methods: Fifty specimens of resin composite material (Filtek Z350XT, 3M ESPE, St.Paul, MN USA) were prepared and immersed in artificial saliva for 24 h. The base line micro hardness of specimens was recorded using Vicker's micro hardness tester (MMT - X7 Matsuzawa, Japan). The specimens were randomly distributed into five groups, each containing 10 specimens (n=10) as follows - Group I Listerine (alcohol based), Group II Periogard (alcohol based), Group III Colgate plax (alcohol based), Group IV C- prev (alcohol free), Group V Hiora(alcohol free). The specimens were immersed in 20 ml of mouth rinses and incubated for 24 h at 37°C. The post immersion micro hardness values of the specimens were recorded and the data was tabulated for statistical analysis. 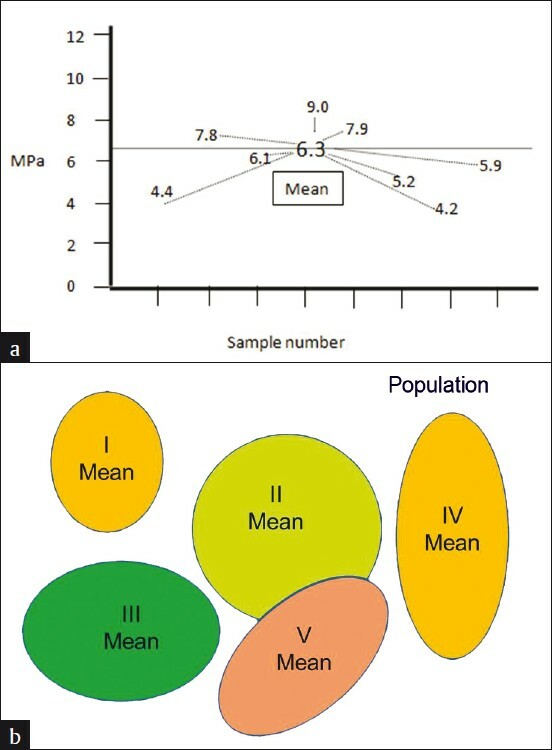 Kruskal-Wallis test was used for inter group comparison followed by pair wise comparison of groups using Mann-Whitney U test. The level of significance was set at P=0.05. Results: Significant reduction in the mean VHN (Vicker's micro hardness number) was observed in all the groups after exposure to the tested mouth rinses (P<0.01) and the reduction in mean VHN values were as follows: Group I 12.09, Group II 3.42, Group II 1.51, Group IV 1.03, Group V 0.57. Inter group comparison showed statistically significant reduction in micro hardness in Groups I and II compared to all other groups with P<0.001. There was no significant difference between Groups III, IV and V. Conclusion: All the mouth rinses showed a reduction in the microhardness of nanofilled resin composite material with listerine (Group I) containing maximum amount of alcohol, showing highest reduction in micro hardness value. Aim: The study was designed to compare the efficiency of three different methods used for retreatment using a dental operating microscope (DOM) and a stereomicroscope and to evaluate and compare the two methods for detection of residual obturation material after retreatment. Background: The DOM can play an important role in the successful retreatment by detecting the remaining obturation material. Materials and Methods: Thirty extracted maxillary central incisors were collected and obturated after biomechanical preparation. The samples were divided into three groups depending on the method of retreatment: Group I, H-files; Group II, ProTaper Universal retreatment files; and Group III: H-files + Gates-Glidden drills, with 10 samples in each group. After retreatment, the samples were observed under a DOM for detection of residual obturation material. Later, the teeth were cleared and observed under a stereomicroscope for detecting the remaining filling material. The results were subjected to the Spearman's rank order test and other statistical analysis. Results: The maximum cleanliness of the root canal walls was seen in Group I while Group II showed the least. The difference between the mean scores obtained with a DOM and a stereomicroscope was statistically significant (P = 0.05). Conclusion: None of the techniques could completely remove the obturation material. The root canal cleanliness is best achieved when retreatment is performed under a DOM. Purpose: The objective of this study is to evaluate the fracture strength and mode of failure of endodontically treated teeth with flared canals restored with two fiber reinforced systems (glass fiber and quartz fiber) and one base metal cast post and core system. Materials and Methods: Forty five anterior teeth were decoronated at cemento-enamel junction and were endodontically treated. Post space was prepared and randomly divided into three groups according to post system. Specimens were loaded at 45° in a universal testing machine at a cross head speed of 0.5 mm/min until failure. The mode of failure was classified as repairable or non-repairable. Results: Teeth restored with cast posts have fracture strength twice that of teeth restored with fiber posts. Fiber-reinforced posts failed at a certain compressive force but they were repairable unlike the non-repairable fracture seen with cast posts. Conclusion: The results of this study showed that, fracture strength and mode of failure in anterior teeth with flared canals varied according to the type of post used to support a crown. Aim: To determine the effect of surface treatment on micro shear bond strength of two indirect composites. Materials and Methods: Blocks of 2 Χ 7 Χ 20 mm dimensions were made from two kinds of resin composites, Gradia and Signum plus. Samples were subjected to secondary curing to complete polymerization. They were divided into five groups: control without any preparation, second group sandblasted with aluminum oxide, third, fourth and fifth groups were lased under a beam of 0.5, 1 and 2 W respectively. Panavia resin cement was placed on the composite blocks using tygon tubes and cured and micro shear bond strength was measured. One sample of each group was observed under electronic microscope. Data was analyzed by two-way ANOVA and Tukey's multiple comparison tests. Results: For Gradia composite, the sandblasted group showed highest strength (25.7±2.9 MPa) followed by the laser beam of 1 W group (with 23.6± 2.8 MPa). In Signum composite, the laser beam of 1 W (21.4±4.2 MPa) showed the highest strength followed by the sandblasted group (with 19.4±3.2 MPa). Conclusion: Surface treatments using sandblast and laser beam of 1W power along with silane are two effective methods to increase the bond strength of composites. Background: The purpose of this study was to compare the microleakage of traditional composite (Charisma/Gluma Comfort Bond) and self-priming resin (Embrace Wetbond). Materials and Methods: Standardized Class V cavities partly in enamel and cementum were prepared in 20 extracted human premolars. Teeth were divided into two groups. Group 1 was restored with Charisma/Gluma Comfort Bond and Group 2 with Embrace Wetbond. The specimens were stored in distilled water at room temperature for 24 h and then subjected to 200 thermocycles at 5°C and 55°C with a 1 min dwell time. After thermocycling teeth were immersed in a 0.2% solution of methylene blue dye for 24 h. Teeth were sectioned vertically approximately midway through the facial and lingual surfaces using a diamond saw blade. Microleakage was evaluated at enamel and cementum surfaces using 10 Χ stereomicroscope. The statistical analysis was performed using Wilcoxon signed-rank test. 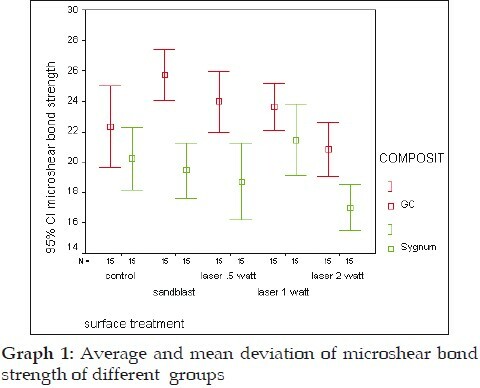 Results: Wetbond showed less microleakage at occlusal and gingival margins as compared with Charisma/Gluma Comfort Bond and the results were statistically significant (P < 0.05). Conclusion: Class V cavities restored with Embrace Wetbond with fewer steps and fewer materials offers greater protection against microleakage at the tooth restorative interface. Aim: The current in vitro study evaluated Vickers hardness (VK) and depth of cure (hardness ratio) of six resin composites, polymerized with a light-emitting diode (LED) curing unit by different polymerization modes: Standard 20 s, Standard 40 s, Soft-start 40 s. Materials and Methods: Six resin composites were selected for the present study: three microhybrid (Esthet.X HD, Amaris, Filtek Silorane), two nanohybrid (Grandio, Ceram.X mono) and one nanofilled (Filtek Supreme XT). The VK of the surface was determined with a microhardness tester using a Vickers diamond indenter and a 200 g load applied for 15 seconds. The mean VK and hardness ratio of the specimens were calculated using the formula: hardness ratio = VK of bottom surface / VK of top surface. Results: For all the materials tested and with all the polymerization modes, hardness ratio was higher than the minimum value indicated in literature in order to consider the bottom surface as adequately cured (0.80). Curing time did not affect hardness ratio values for Filtek Silorane, Grandio and Filtek Supreme XT. Conclusion: The effectiveness of cure at the top and bottom surface was not affected by Soft-start polymerization mode. 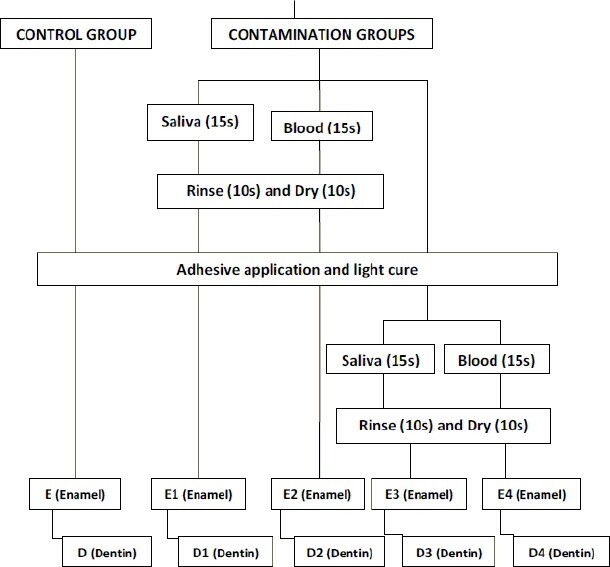 Aim: The aim of this study was to evaluate the influence of different concentrations of Ethylenediaminetetraacetic acid (EDTA) solution on adhesion, that is, the bond strength of the different adhesive systems, to the pulp chamber dentin. Materials and Methods: Recently extracted, sound, human, third molars were cut horizontally to expose the pulp horn. The roof of the pulp chamber and pulp tissue was removed. The teeth were then divided into five main groups. The teeth in each group were treated as follows: group 1, irrigated with saline; group 2, with 5% EDTA for 5 minutes; group 3, with 15% EDTA for 5 minutes; group 4, with 17% EDTA for 5 minutes and group 5, with 19% EDTA for 5 minutes. Treated specimens were dried and divided into 2 subgroups for adhesives; bonded with a total-etching adhesive (Adper Scotchbond Multi-purpose - ASB) or a one bottle of self-etch adhesive system (Clearfil S3 Bond - CS3). After the bonding procedure and composite restoration, teeth were sectioned and dentin sticks were obtained from each group for micro tensile testing (n = 10). Micro tensile testing was performed and scanning electron microscope (SEM) photographs were taken for each irrigated group. Results: In the ASB group, saline showed statistically higher bond strength values at the different concentrations of EDTA, while the micro-tensile bond strengths of the different concentrations of EDTA were not statistically different. In the CS3 group, saline and 5% EDTA showed statistically higher bond strength values than 17% and 19% EDTA, while the micro-tensile bond strengths of 15% EDTA compared to saline and 5% EDTA and 15% EDTA compared to 17% EDTA and 19% EDTA, were not statistically different. Conclusion: This study showed that EDTA irrigation can affect the bond strength of adhesive systems on pulp chamber lateral walls. Clinically, low EDTA concentrations can be recommended if self-etch adhesives have been selected. Aim: The aim of this study was to evaluate the antimicrobial efficacy of Aloe vera and to determine its effectiveness in decontaminating gutta percha cones. Materials and Methods: A concentrated extract of Aloe vera was used to check for the antimicrobial efficacy using the agar well diffusion method. Presence of zones' of diffusion was identified against three common GP contaminants namely, E.coli, E.faecalis and Staph. aureus. New GP Cones, freshly taken out of the packet were then decontaminated for 1minute using Aloe vera gel and then placed in thioglycolate broth to check for the presence of turbidity. Results: The zones of inhibition on the agar plate were measured as 24mm,21mm and 24mm respectively. The broth remained clear even after 48 hours of incubation. Conclusion: We conclude that Aloe vera is indeed effective as a GP decontaminant and it holds a promising future as a medium for storage of GP cones. Aim: This in vitro study evaluated and compared sealing ability of Diadent BioAggregate (DBA) as a new root-end filling material (REFM) versus amalgam, intermediate restorative material (IRM) and white mineral trioxide aggregate (WMTA). Materials and Methods: Crowns of sixty extracted human maxillary incisors were sectioned at the cemento-enamel junction (CEJ). All the roots were instrumented and obturated with gutta-percha and resin sealer. Obturated roots were divided randomly into 2 control groups and 4 experimental groups of 10 samples each. In the negative control group (group I), roots were kept without any further preparation. In the positive and experimental groups roots, were apically resected and root-end cavities were prepared and filled with: (a) gutta-percha (group 2-positive control group); (b) amalgam (group 3); (c) IRM (group 4); (d) WMTA (group 5); (e) DBA (group 6). Apical leakage was assessed using dye penetration technique. Data were submitted to statistical analysis by the one-way analysis of variance (ANOVA) and Tukey's test. Results: Significant difference of sealing ability was found among 4 tested groups. DBA followed by MTA showed the highest sealing ability. Conclusions: DBA with its high sealing ability can be considered a possible alternative to MTA. Fighting the controversies, amalgam, as a posterior restorative material has survived till date. The fate of amalgam restoration is determined by geometry of the cavity preparation and cavosurface angle is one integral part of the cavity, which decides the marginal characteristics of the restoration and health of the tooth. Low edge strength of amalgam highlights the importance of cavosurface angle. However, at the same time conservation of the tooth also should be considered. This article presents a self-designed instrument to evaluate and obtain a cavosurface angle close to 110°. The design of the instrument also helps in evaluating parameters, such as depth of the cavity, undercut angle, and allows finishing of the buccal or lingual walls. 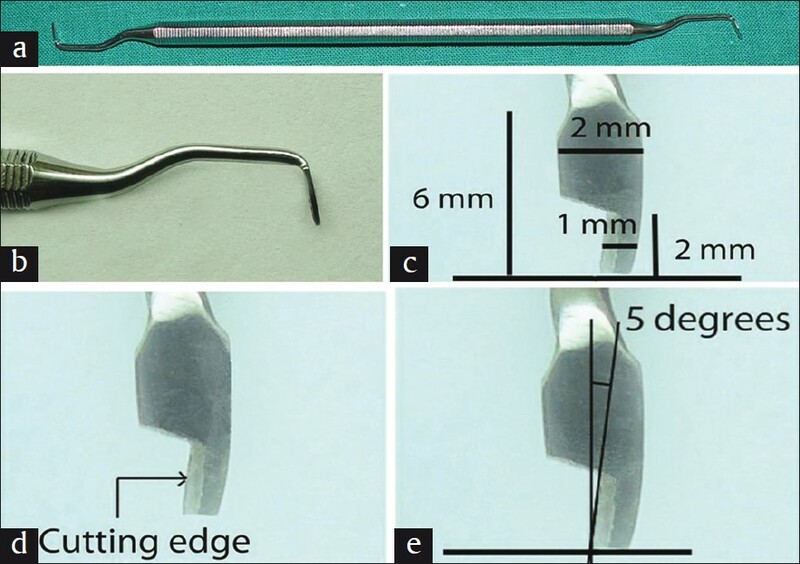 Aim: The aim of this in vitro study was to evaluate the sealing ability of an endodontic sealer following different techniques of its placement. Materials and Methods: A total of 119 permanent human anterior teeth were prepared by using manual Protaper® and randomly divided into three equal groups of 33 teeth each. The teeth were obturated with the cold lateral condensation technique and AH26 sealer which was placed by using the following: G1: rotary lentulo spiral; G2: manual lentulo spiral; and G3: master gutta-percha coating. The remaining 20 teeth served as positive and negative controls. The samples were immersed in the methylene blue solution for 3 days and longitudinally sectioned for dye penetration assessment and analyzed using a stereomicroscope. Results: There was no statistically significant difference (P = 0.305) among the three groups. 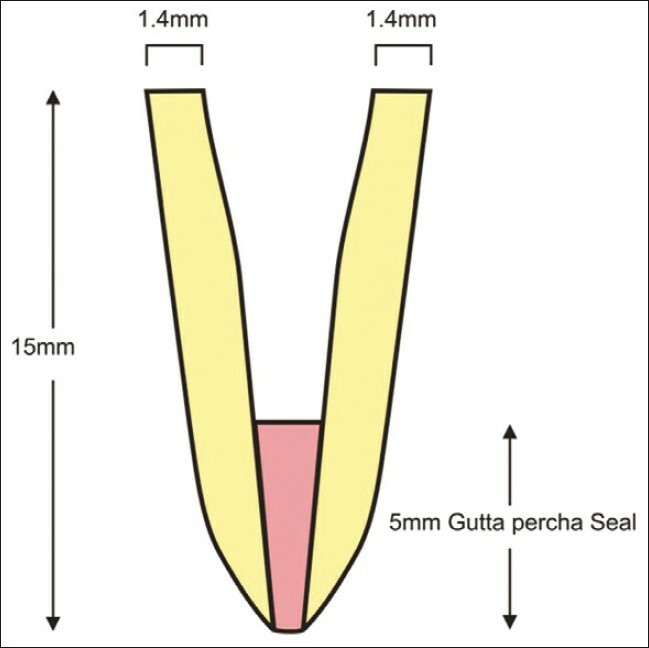 However, the rotary lentulo spiral technique and the master gutta-percha coating technique showed the highest (4.5 mm) and the lowest (3.8 mm) microleakage values, respectively. Conclusion: Different techniques of sealer placement used in this study provided a comparable seal. However, the master gutta-percha coating technique might be preferable because of its ease of use. Aim: The aim of this in vitro study was to evaluate the microleakage of two different generation bonding agents in the presence of various surface contaminants. Materials and Methods: Class V cavities were prepared on 150 extracted human permanent molars. The samples were randomly divided into two main groups of 75 teeth each. Group I: Fifth generation bonding system (Single Bond, 3M). Group II: Seventh generation bonding system (iBond, Kulzer). Subgroups were formed according to exposure to different surface contaminants (saliva, blood, caries disclosing agent and haemostatic agent). Cavities were restored with hybrid composite (Z-100, 3M) and evaluated for microleakage. The scores were subjected to 't' test and analysis of variance (ANOVA) test. Results: Single Bond and iBond did not provide complete resistance to microleakage when there was no contamination. Microleakage was minimum in the no contamination subgroup and maximum with the haemostatic agent subgroup for both the groups. Conclusion: Single bond showed lesser micro leakage in contaminated conditions. Aim: The aims of this study were to determine the effect of saliva and blood contamination on the shear bond strength of self-etching adhesive to enamel and dentin; and, to compare the difference in bond strength due to contamination beforeand after application of the self-etch adhesive. Materials and Methods: 40 human mandibular molars were wet ground on both buccal and lingual surfaces to prepare flat superficial enamel and dentin surfaces. They were randomly divided into two groups (n = 40) based on the substrate (enamel and dentin). Each group was further divided into five subgroups (n = 8) based on the type of contamination it was subjected to, and the step in the bonding sequence when the contamination occurred (before or after adhesive application). Fresh saliva and fresh human blood were applied either before or after the application of Xeno III® self-etching adhesive system (SES). Composite resin was applied as inverted, truncated cured cones that were subjected to shear bond strength test. Statistical Analysis: One-way analysis of variance (ANOVA) and Tukey's Honestly Significant Difference (HSD) test were used. Results: Statistically significant reduction in the bond strength was shown after both saliva and blood contamination before and after Xeno III® application (P< 0.05). Bond strength is significantly reduced after contamination with blood as compared to saliva. Conclusions: When self-etching adhesive systems are used, saliva and blood contamination significantly decrease the bond strength of the adhesive to enamel and dentin of the tooth. 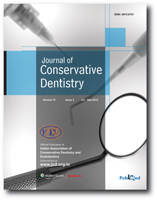 Aim: This study was designed to evaluate the apical seal of root canals obturated with resin cement as a root canal sealer and compare with that of the glass ionomer and zinc oxide eugenol sealers using a cold lateral condensation gutta-percha technique. Background: Successful root canal treatment requires three-dimensional obturation of the root canal system with nonirritating biomaterials. None of the available materials are capable of providing a fluid tight seal. Materials and Methods: The prepared teeth were randomly divided into three groups of 15 each to be obturated using three different sealers. Group I: zinc oxide eugenol (Tubliseal), Group II: Glass ionomer (Ketac Endo), and Group III: resin cement (C & B Superbond). All the specimens were stored in 100% relative humidity at 37° for 24 h. The specimens were placed in 2% methylene blue dye for 48 h and sectioned. The dye penetration was evaluated under a stereomicroscope. Results: The "Kruskal-Wallis" test was carried out to test the equality of mean. All the specimens showed dye leakage, and there was a statistically significant difference (P < 0.0001) among the groups. The specimens in Group III showed a minimal leakage and the specimens in Group I showed a maximum leakage. Conclusion: Resin cement sealed the root canals significantly better when compared with zinc oxide eugenol and glass ionomer sealers. Aim: To evaluate shear bond strength of silorane and bis-GMA based composite resins using self-etch and total-etch adhesive systems, and compare the effect of Quartz-tungten-halogen (QTH) and Light emitting diode (LED) on the shear bond strength of the experimental materials. Materials and Methods: Flat dentin surfaces were exposed on intact extracted molars and composite resin was built 2 mm in diameter. Teeth were divided randomly into four groups. Groups 1 and 2 were restored with P90 system adhesive and Filtek P90 and cured with QTH and LED units respectively. Groups 3 and 4 were restored with total etch adhesive and Filtek Z100 and cured with QTH and LED units respectively. Specimens were subjected to shear bond strength testing using Instrom Universal testing machine. Results: Data was subjected to one-way analysis of variance. Total-etch groups gave significantly higher shear bond strength values than the self-etch groups. No significant difference in shear bond strength was found between Groups 3 and 4, while Group 1 showed significantly higher values than Group 2. Conclusion: Type of light curing unit is not a significant factor affecting shear bond strength for bis-GMA RBCs using total-etch technique; while for curing silorane resin based composite (RBCs), conventional halogen curing units showed better results. Background: Consumption of certain beverages may affect the esthetic and physical properties of the resin composite, thereby undermining the quality of restorations. Aim: To analyze the effect of three beverages (Whiskey, Coca-Cola, and Nimbooz) on color stability and surface roughness of two different types of resin composites at various time intervals in vitro. Materials and Methods: A methacrylate-based nanofilled composite and a silorane-based microhybrid composite were used. Each material was randomly divided into four equal subgroups of 10 samples each according to the beverages used (Whiskey, Coca-Cola, Nimbooz, and Distilled water). The samples were immersed in each beverage for 10 minutes each day for 56 days. Color change and surface roughness measurements were noted at the baseline - the seventh, fourteenth, twenty-eighth, and fifty-sixth day. Statistical Analysis Used: RANOVA and Bonferroni tests were used to find the difference in color change and surface roughness in the two resin composites when immersed in different beverages. The Pearson Correlation test was carried out to test if any correlation existed between color change and surface roughness. 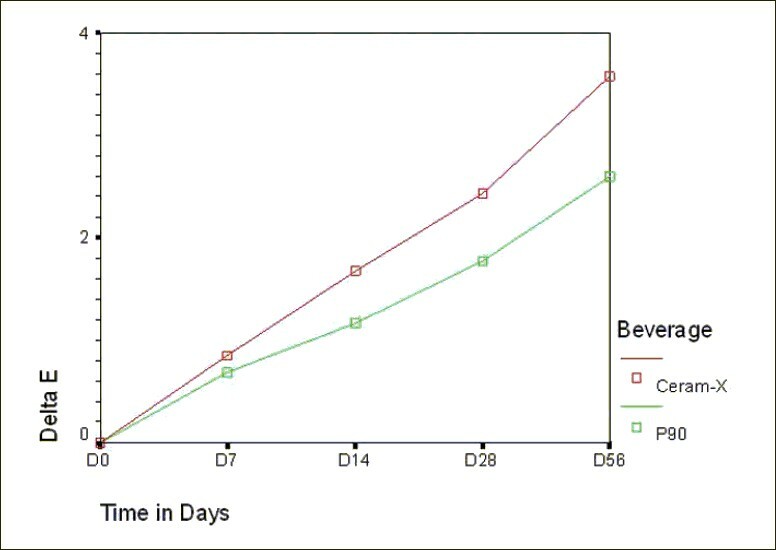 Results: Silorane-based resin composites were more stable in different beverages over time. Conclusion: The effect of interaction of different resin composites, various beverages, and time depended on a multitude of factors. Background: In restorative treatment dental unit water is used while irrigating the cavity and also in the use of composite restorations to flush away the etchant to place bonding agent. These antimicrobials may influence the bond strength of the dentine bonding agent to the dentine. Aim and Objective: To evaluate the effect of three different dental units waterline antimicrobials on the shear bond strength of dentin. Materials and Methods: Sixty freshly extracted human teeth were taken and the occlusal surfaces were sectioned to obtain a flat dentin surface. Then the teeth were randomized into 4 groups depending on the antimicrobial used: Group 1(Distilled water), Group 2 (Alpron), Group 3 (CitriSil), and Group 4 (Chlorhexidine). The dentine surface was prepared for bonding and composite resin was placed in two increments of 2 mm each. The specimens were stored in distilled water, thermo cycled after 7 days shear test was performed by using the universal testing machine. Result: No significant difference between Group 1 and Group 2 with regard to shear bond strength. 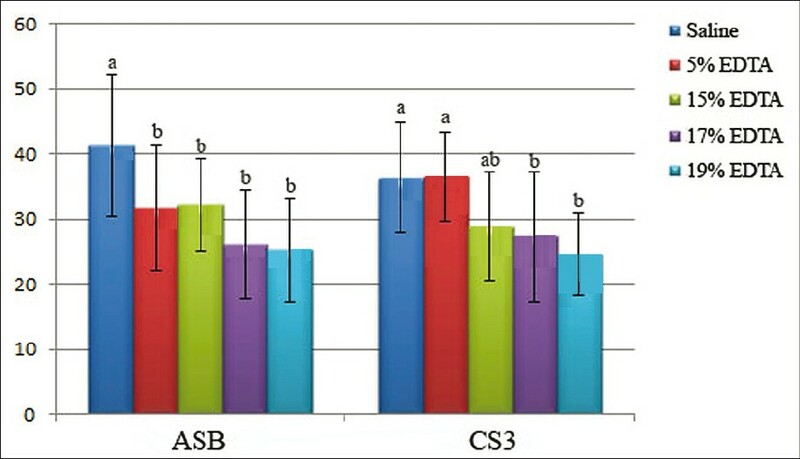 There was a significant difference in the SBS of Group 1 and Group 3 and Group 4. The SBS of group 2 was higher than Group 3 and Group 4 and the difference was statistically significant. Conclusion: Citrisil and Chlorhexidine groups showed affected bond strength whereas Alpron did not vary with bond strength. Aim: A comparative evaluation of the antimicrobial activity of natural extracts of Morinda citrifolia, papain, and aloe vera (all in gel formulations), 2% chlorhexidine gel and calcium hydroxide, against Enterococcus faecalis-an in vitro study. Materials and Methods: The antimicrobial efficacy was assessed in vitro using dentin shavings collected at 2 depths of 200 and 400 μm. The total colony forming units at the end of 1, 3, and 5 days were assessed. Results: The overall percentage inhibition of bacterial growth (200 and 400 μm depth) was 100% with chlorhexidine gel. This was followed by M. citrifolia gel (86.02%), which showed better antimicrobial efficacy as compared with aloe vera gel (78.9%), papain gel (67.3%), and calcium hydroxide (64.3%). There was no statistical difference between data at 200 and 400 μm depth. Conclusion: Chlorhexidine gel showed the maximum antimicrobial activity against E. faecalis, whereas calcium hydroxide showed the least. 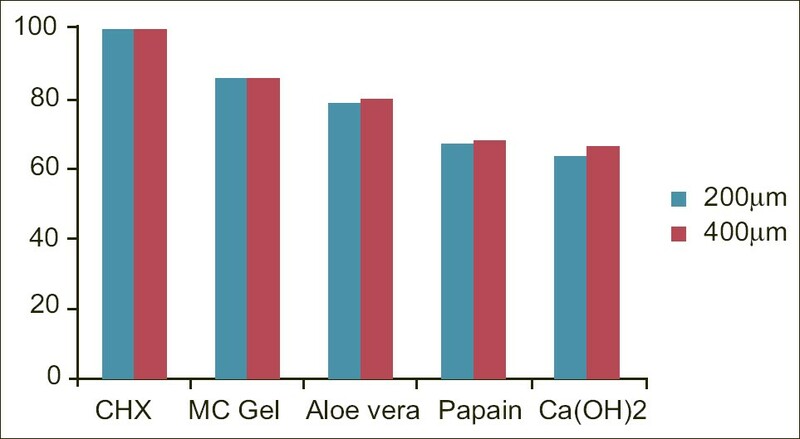 Among the natural intracanal medicaments, M. citrifolia gel consistently exhibited good inhibition up to the 5 th day followed by aloe vera gel and papain gel. 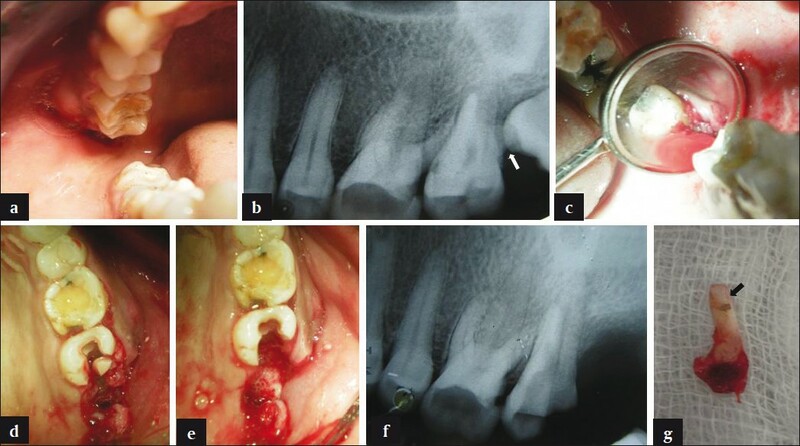 This case report illustrates determination of prognosis and immediate resection carried out, before completing the endodontic therapy, during the surgery employed for managing a nonperiodontal problem. This case showed external pressure resorption in the distobuccal root of maxillary second molar caused by the impingement of impacted third molar. Extraction of third molar was decided when healing was not seen, despite initiating endodontic therapy in second molar. Following elevation of flap and extraction of third molar, the poor prognosis due to severe bone loss around the resorbed root was evident. But due to strategic value of second molar, it was found beneficial to employ resection. Therefore, immediate resection was carried out in the same surgical field before the completion of endodontic therapy. This prevented the need for another surgical entry with its associated trauma to carry out resection separately later. Resection followed by the completion of endodontic therapy and full crown assisted in salvaging the remaining functional portion of the tooth and prevented the occurrence of distal extension with its potential drawbacks.